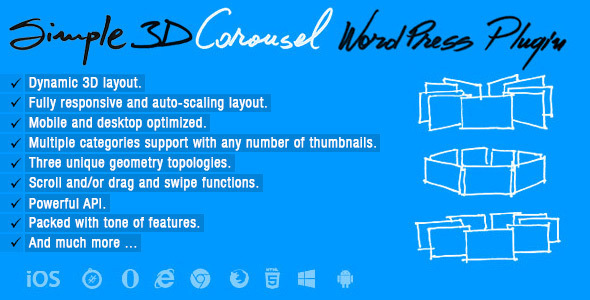 What is Simple 3D Carousel WordPress Plugin ? Simple 3D Carousel WordPress Plugin is a image carousel slider wordpress plugin that allows to display normal images (jpg or jpeg) or images with transparency (png) with an unique original layout from a 3D perspective. It’s perfect for any kind of presentation, for anyone that wants to deliver a great impact to thier visitors. It runs on all major browsers and mobile devices like iPhone, iPad, IOS, Android and Windows. When a thumbnail is clicked you can choose to do nothing or open a new web page. Simple 3D Carousel WordPress Plugin has high performance using OOP code and the latest CSS techniques, ready for mobile with swipe, very flexible, easy to setup and extremely customizable. Custom action for the thumbnail click. When a thumbnail is clicked you can choose to do nothing or open a new web page. Slideshow with autoplay and customizable slideshow delay. 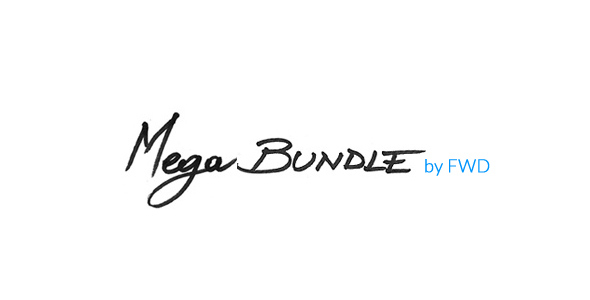 Easy to install and add in any webpage.